Okay, I admit it, I’m a bit behind. But since there’s a meme on Facebook that says January was a practice month, that 2019 started with February, I’m on time! Because it is the new year, it’s time to talk about goals. Or rather about goal-making. Not successful at achieving your goals? Maybe I can help. 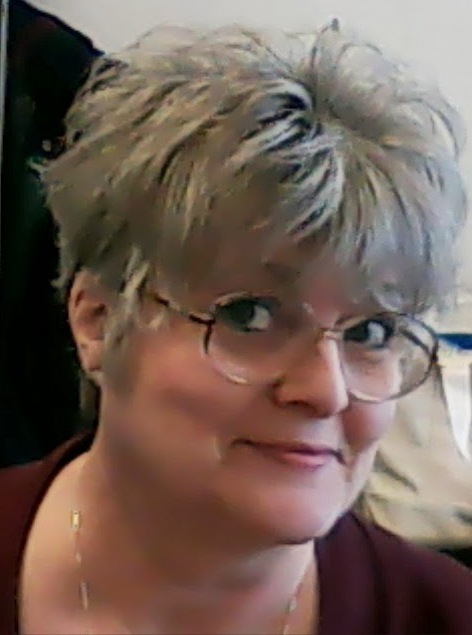 The SMART goal approach is becoming a hot item among writers; well, at least with two, Maris Soule and Diane Burton I know through my writer’s group, Mid-Michigan Romance Writers of America (MMRWA). In fact, both recently blogged about making 2019 goals using the SMART method. I learned about SMART goals when I taught English classes at Davenport University, a business college. Our students saw the SMART goals methodology used in most of their classes. All the committees I worked on used them, too. In those committees, spreadsheets were used to identify and then track our goals. Is it any wonder I learned to love spreadsheets? Well, actually, no. I was already in love with spreadsheets before my academic employment. My love for spreadsheets occurred when I was working at W.K. Kellogg Institute for food & nutrition research, where I was a liaison between the cooks there and the procurement department at Kellogg headquarters. I had a wonderful supervisor who taught me how to create cell formulas and create pages that talked to each other. Some of those skills I was able to teach to my academic peers, and now I continue teaching those skills to my writer friends. I’m big on goals. So are Tony Robbins, Wayne Dyer, and Norman Vincent Peale. These three men, through their books which I read in my 20s, showed me the value of having SMART goals, even though they weren’t called SMART back then. Well, at least, not in their books. I’m a fan of making to-do lists, too. Daily ones. So, naturally, my goals end up on my daily to-do lists. I have a master lifetime list of goals, a yearly list, which then gets broken down into monthly, weekly, and daily goals. Do I achieve all these goals? Heavens no. But, here’s the secret. Because of these lists, I achieve way more than I if I didn’t have goals or the lists. Only when I start getting specific with the weekly and daily tasks is when I start crossing off items. The more items I cross off the list, the more I want to do. It’s truly addictive. And, there’s something magical about writing the goals down. If you’re already a list maker, you already know the best part of any list is crossing it off the items. It’s a rare day, though, when I cross off all tasks. I then take those goals and break them down into daily, sizeable chunks, doable in 10-15 minutes, others in an hour or so and place them in planner’s calendar. In the years I’ve been doing this, there’s only one month where I completed all the goals. Most of the time, I feel good to accomplished half of them. Without the spreadsheet, without the SMART goals, I wouldn’t be doing much. Yup, I’m that lazy. That forgetful. Get that sidetracked. I refer to my list multiple times throughout the day. Bottom line, it really doesn’t take a new year to create new opportunities. Each day is a new opportunity to start a SMART goal, even at 11:55 p.m. After all, a lot can be done in five minutes. Such as creating a goals list for the year. To republish two of my first three books published. The first one, Determined Hearts, is already published. To plot out the four remaining novellas in my Laurel Ridge novella series. The first one, Shattered Dreams, is published. #2 & #3 have the first drafts written. Ideally, I’d like to write the first drafts for the remaining four, then start publishing them at the end of this year and next. To edit 2-3 screenplays and publish them. My first screenplay, David & Goliath is already published. Actually, I do have a few more goals, but you get the idea. And you can see how I cross them off and write DONE at the end of the line. It’s both thrilling and fulfilling to write DONE. And, that’s what this blog is: DONE! One-quarter of the way done for this quarter’s blogs. So, how about you? Do you use SMART goals? Does this blog make you want to try using them? This entry was posted in Goals, Inspiration, writing and tagged Being lazy, blogs, calendar, David & Goliath, Determined Hearts, Diane Burton, edit, Goals, Grendel's Mother, historical, Maris Soule, Mid-Michigan Romance Writers of America, New Year, Norman Vincent Peale, republish, Romance Writers of America, setting goals, SMART goals, Tony Robbins, W.K.Kellogg Institute, Wayne Dyer, writing. Bookmark the permalink. 8 Responses to A New Year Means New Opportunities: But Wait It’s February Already! Our MiWriMo group has definitely helped me in setting goals. Now I just need to accomplish them! I’ll have to try applying the SMART method to be better organized. I have a lot of goals, just not clear on how to make them happen. I do like to make lists, too! I found when I have a big goal, I just have to break it down into steps. Often just baby steps. Thanks for reading & commenting, Kara. I’ve heard of SMART goals and it is a wonderful thing to do for so many reasons! Having organized goals really helps with accomplishing them. I, too, love crossing off items on lists and writing DONE is emotionally rewarding. Good luck on your goals, Diana.